Creephyp was formed by Sekaikan Ozaki(Vo/G), Kaonashi Hasegawa (B), Yukiji Ogawa(G), and Taku Koizumi(Dr).The original member started the band in 2001 and in 2009, the band settled on to the existing member and format. 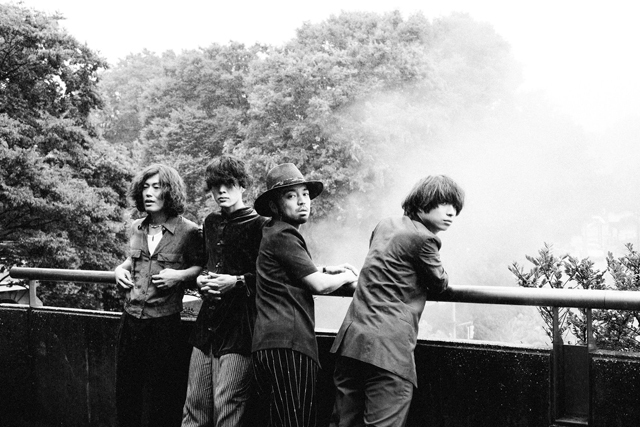 After performing indie for a while , in April 2012, they made their major label debut with an album “Shinu made Isho Aisareteruto Omottetayo”. “Yu san san” released in 2013 was selected for SHISEIDO Anessa’s commercial song, drawing a lot of attention to the band. In April 2014, they had 2-day Nippon Budokan show, which was an instant sold out. In 2015, they met a lot of major tie-in opportunities with “Aino Tenmetsu”, “Reversiblue” and “Hakka”. Also, Sekaikan, published his first novel “Yusuke”(published by Bungei Shunju)on June 30th, showing his versatile talent.